Chamber Chat is a monthly networking event that is free and open to all. Each month we have a different topic, activity or speaker. Chamber Chat is a great chance to meet other business leaders and decision makers in the area in a relaxed setting. 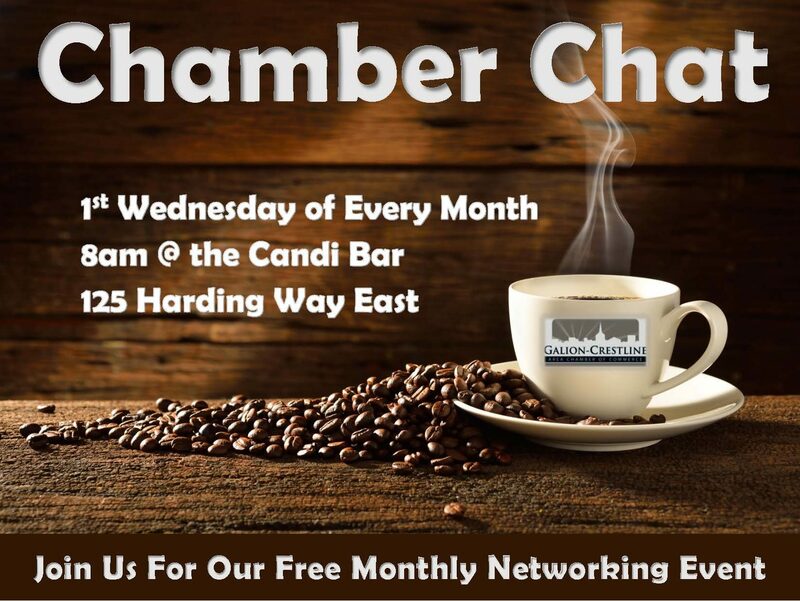 We hope you will join us for our Chamber Chats the first Wednesday of every month at 8am at the Candi Bar in Uptowne Galion.